Lorrie Moore, the author of “Who Will Run the Frog Hospital?” was in town in Williamsburg, Virginia, giving a reading at Tucker Hall at the College of William and Mary. My friend Susan had invited me, and I actually remembered the author’s name and knew that book was somewhere on my shelf, so I said yes. My husband Mac had read the book, and was sure I would like it. I managed to find it on our jumbled bookshelves, which are kind of in alphabetical order (for fiction, at least). And it was short, only 147 pages! Before long, I realized that I had already read it, too. Not because I remembered anything, mind you, but because my marks and scars were present pencil lines in the margins, and a few dog-eared pages. Mac never marks up a book, or dog-ears the pages, and it drives him crazy when I do. So, it’s usually easy to tell whether I’ve read a book. In this case, I was probably walking that fine line with my fine lines. I got 33 pages into the book, and it was lively stuff. One passage I had circled (in ink!) was, “She inhaled and held the smoke deep inside, like the worst secret in the world, and then let it burst from her in a cry.” I love revisiting a book, like a stone skipping over water, hitting the high spots thanks to my notes. So when the day of the reading arrived, I went to listen to Lorrie Moore read her favorite passages in her own voice. When I got to the lecture hall, I sat by Susan, who was fortunately in the second row, near the aisle. Someone introduced Lorrie Moore. I couldn’t hear most of that, but it didn’t really matter. Then she got up to read, holding a big, thick book (her latest), with a microphone clipped to her lapel. I couldn’t hear a word of it. It seemed as though she was muttering softly, but I’m not a good judge of that. I leaned over and whispered to Susan that I was having trouble hearing and was going to sit in the front row. Well, Susan outed me immediately, and informed the guy who had introduced Lorrie that she wasn’t audible. While I tried to surreptitiously move to the very center of the front row, he asked Lorrie to hold the lapel mic in her hand, so it could be closer to her mouth. She did that for a few minutes, but it got awkward when she needed to hold the book, too. And when she held the mic in her hand, it was so close to her mouth that her speech was distorted, with the P’s and T’s sounding like balloons popping. Tiny balloons, but enough to muddy her speech. For me. That was when one of the professors leapt over the front two rows, got on the stage, took the big, regular-mic holder (which was empty), bent it around to the front of the lectern, and clipped the tiny lapel mic to it. Okay. It was closer to her mouth, and she could use her hands for other things. Let the reading begin. Again. This time, she read for about 20 minutes, and I still couldn’t hear clearly enough to know what she was mumbling into the mic, with the P’s and T’s popping again due to its proximity to her mouth. I sat there patiently, not wanting to be disruptive again, and thought about other things, in between the audience’s intermittent chuckling. To my credit, I did not get my phone out to check my email. After she was done, and the Q&A period started, I slunk out of the room, as quietly as possible. Others were doing the same, so I felt a little less rude. The next day, I got an apologetic email from Susan. The good news is that, the next time Susan invited me to a reading, she made a point of saying they had gotten the good mic back up and running. And, in fairness, making an entire campus of classrooms and other spaces hearing-friendly will take time, money… and attention. In fact, I’ve already managed to get an FM system installed in two auditoriums in another building on campus. So, slowly, the system is getting better, one complaint at a time. I think of that passage I ink-circled, about inhaling smoke like a big secret and letting it burst forth. Advocating to hear can put you in the spotlight, uncomfortably, especially in a group situation, but we should let our needs burst forth to help others who are no doubt in the same situation. Kathi Mestayer is a staff writer for Hearing Health magazine. Bob Downs was 18 years old when he received his first hearing loss diagnosis. Heading home from school one afternoon, he wandered curiously into an audiology clinic offering free hearing tests and agreed to take one. The audiologist informed him he had a substantial hearing loss and would benefit from hearing aids sold by the clinic. Skeptical and not willing to purchase hearing aids, Bob declined the treatment. More than a decade later, Bob was driving his five-year-old son, Timmy, home from school when he discovered his distress coming from the back seat. Timmy was crying because his throat was in pain from him screaming at his father. “He was desperately trying to get me to hear him talk about his day at school, but I couldn’t hear him,” Bob said. Being unable to hear Tim encouraged Bob to take his hearing health more seriously and get another test. The new test results showed a hearing chart like the one presented to him as a teenager in the audiology clinic, but a lot worse. Bob has now been wearing hearing aids for 18 years. Professionally, Bob’s hearing loss created some unexpected challenges. Shortly after he purchased his first pair of hearing aids, Bob worked in the call center of a large medical organization. His hearing loss combined with office background noise made it difficult for him to use the phone to schedule patient appointments, even with a telecoil feature for his hearing aids. The hectic environment of a medical office also made it challenging for Bob to communicate with colleagues and patients face-to-face. It was here that Bob first became highly aware of his professional limitations caused by hearing loss. Bob was disappointed when his employer failed to provide proper workplace accommodations for his hearing loss. He brought the issue to the Equal Employment Opportunity Commission (EEOC)—the federal agency enforces civil rights laws for employees with disabilities—but never received justice from his former employer. His former employer actually denied Bob’s hearing loss, leaving him disheartened and deeply offended. Discouraged by this legal outcome and required to tend to an urgent family emergency, Bob resigned from his call center position at the medical clinic to return to clerical work, a previous and familiar area of expertise. Bob faced similar obstacles in this line of work, too, and felt as if he were no longer able to contribute to the support of his family. “I was constantly paranoid about failing to hear my boss or a doctor or a technician calling after me from behind and would not be able to see that they were talking to me,” Bob recalls. Bob realized a new profession—one involving less listening—may benefit him. He returned to college and earned his Associates Degree in 2013, where he is currently working toward his Bachelor’s degree in User Experience (UX) Design, which involves coding to improve people’s interactions with technology. 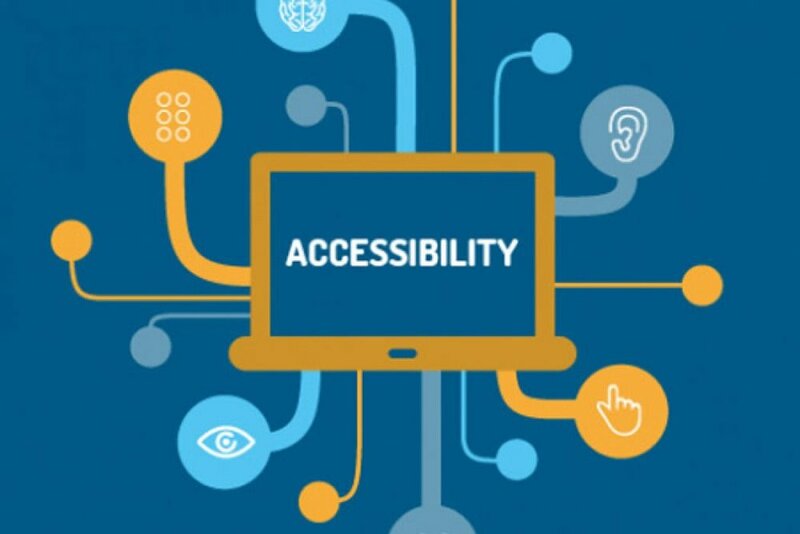 Bob’s focus in UX Design is the Web Accessibility Initiative - Accessible Rich Internet Applications (WAI-ARIA), an interface that defines a way to make web content and web applications more accessible to people with disabilities. The typical functionality used in websites is not available to those who rely on screen reading or cannot use a computer mouse. Bob wishes to expand the usage of the required technical code specifications, making more web applications accessible to people with disabilities. Although Bob was once reluctant to accept his hearing loss diagnosis, he’s proud to understand and advocate for the benefits of hearing loss treatment today. He urges other folks not to ignore their difficulties hearing or, worse, an audiogram showing a profound hearing loss, as he did at 18. Bob’s ability to remain persistent through discrimination and career changes is also commendable. Though Bob was unable to receive justice for the inequality he personally faced in his former workplace, he’s now creating his own form of justice for disability access through his newfound career. Every family has holiday traditions—ours is to visit New York City. For the past five years, my mom, dad, and brother, Alex, have committed a single hour drive to experience the magic of the greatest city in the world during Christmas time. When we arrive each December, Alex and I are in awe of the magical sight of neon Christmas lights covering Radio City and the giant tree in Rockefeller Center. Despite our fascination with the city’s holiday decor, nothing we see outside compares to the highlight of our annual tradition, attending a musical performance on Broadway. Our first musical, Annie, was an incredible experience for our family, but it was difficult for Alex. Born with a hearing loss, Alex uses a hearing aid and cochlear implant. Though his devices have greatly helped him over the years, there are some situations where their benefits are limited. While watching Annie, Alex had trouble understanding some of the lines that the actors were saying, missing every few words spoken. As a result, he couldn’t grasp the full context of the story or make sense of the audience’s reactions. Whenever the audience laughed, Alex would laugh along with them. He laughed knowing that he had missed a word, had lost a sentence, and didn’t catch the joke. Alex followed this copycat formula for the next few Broadway plays we attended. When we saw The Lion King, he was amazed by the costumes and the bright lights, but he couldn’t hear Timon and Pumbaa singing “Hakuna Matata.” The beautiful music in Aladdin delighted Alex, but he didn’t pick up on Jafar calling Aladdin a “diamond in the rough.” After we saw Aladdin, I asked Alex if he enjoyed the musical. He told me that he did, but felt as if viewing the show was like trying to complete a project without all the tools. For Alex, the musical was a puzzle and he had lost a few pieces while assembling the final product. Last December, my family and I watched our newest musical, Dear Evan Hansen, and it was Alex’s favorite so far. We arrived at the theater happy to know there was a closed captioning option for guests with hearing loss. Weeks before, my parents had called the captioning company that provides services for Broadway musicals and reserved a closed captioning device for Alex. He was given a small tablet and was told that the actors’ lines would appear on the tablet as they were spoken. Minutes later, the musical began, and Alex was just as invested in the show as the rest of the audience. Now, he could understand everything that was happening on stage! It was an enlightening experience for him. He understood every sentence, took in every word, and laughed at every joke, and not for the sake of laughing along to fit in, but because he got the joke. When we finished the musical I turned to Alex and asked him if he liked it. He replied with three words: “I loved it.” Finally, Alex had completed his puzzle with ease. Joe Mussomeli is a 10th-grade student who lives in Westport, CT. His younger brother, Alex, has been featured in Hearing Health magazine and is a participant in HHF’s “Faces of Hearing Loss” campaign. 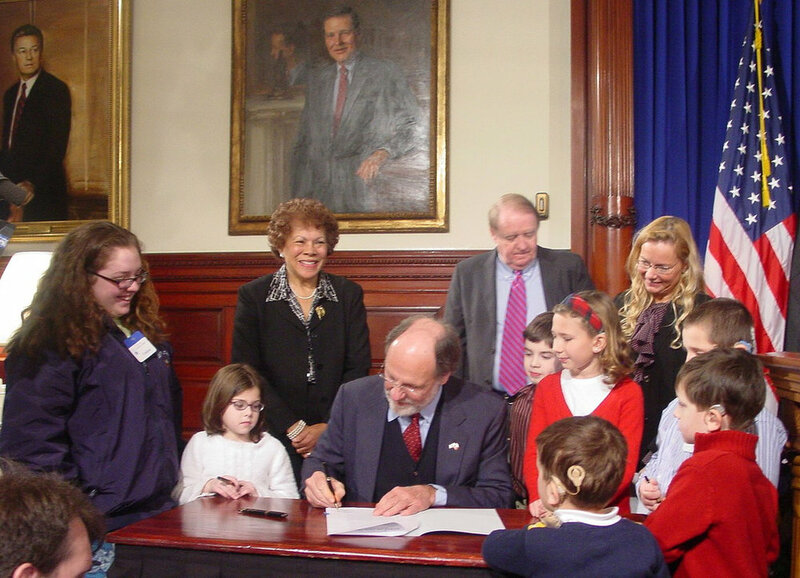 Grace Gleba (red sweater on right) looks on as HAIL is signed into law. The governor spoke as we witnessed the passage of Grace’s Law S467/A1571. These bill numbers are emblazoned forever in my mind. Grace’s Law is known as Hearing Aid Insurance Legislation (HAIL) and mandates hearing aid coverage for New Jersey children ages 15 years and younger. For our family and all of the families who advocated in the state capital of Trenton with us, it was a monumental accomplishment. In fact, it took nine years to raise awareness and fight for this law to become a reality. The statistics validate this being quite a feat as only 3 percent of all bills introduced ever become a law! 1) Take a few minutes to learn the history of the bill here and here. You can read the original legislation and the most recent pamphlet that the NJ Department of Human Services’ Division of the Deaf and Hard of Hearing has produced explaining Grace's Law. Take note that as a result of the Affordable Care Act, the state has made this an essential health benefit and since 2014 there is no longer a maximum benefit limit of $1,000 per hearing aid (after deductibles, copays etc.). Now that’s something to celebrate—that children now can have even better coverage! 2) Support research toward a biological cure for hearing loss with a contribution to Hearing Health Foundation (HHF)’s Hearing Restoration Project (HRP). The HRP is a scientific consortium studying how fish, birds, and mice regenerate their hearing to replicate this phenomenon in humans. 3) Do you know a child who has benefitted from Grace’s Law and is a shining example that with their hearing aids they have overcome obstacles and achieved great things? Help them join HHF’s Faces of Hearing Loss awareness project. Their participation will show that hearing loss and related conditions can affect anyone. 4) Make a difference in someone else’s life and give the gift of sound by donating old hearing aids to Hearing Charities of America. 5) Wear earplugs for a day to gain a better understanding of living with hearing loss on a daily basis and why getting fitted for proper hearing aids can improve lives. 6) Participate in Walk4Hearing events held nationwide by the Hearing Loss Association of America. For 10 years #GracesLaw #HAIL has helped children in NJ hear. 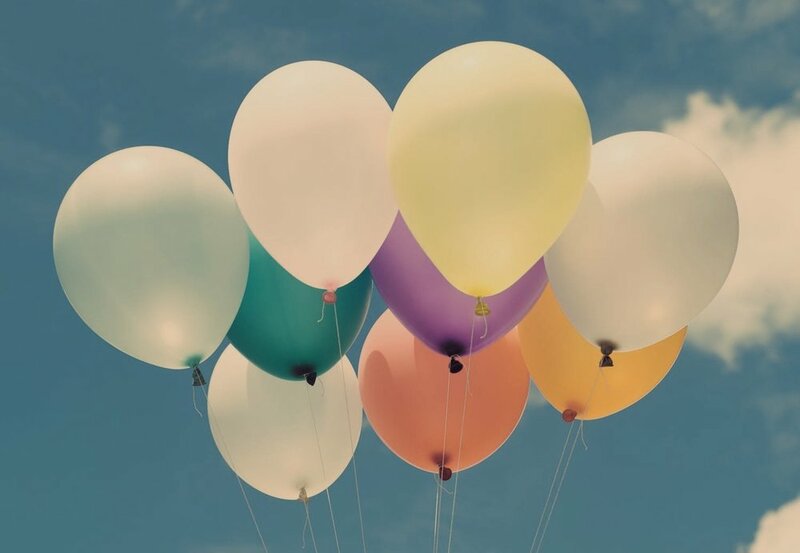 Help spread the word by doing something from the 10 Ways to Celebrate! I’m celebrating #GracesLaw #anniversary by _____________. #GracesLaw improved my/my child’s quality of life by ____________. 8) Advocate like we did 10 years ago! Last year, President Donald Trump signed into law the Food and Drug Administration Reauthorization Act of 2017, which includes the Over the Counter Hearing Aid Act. Next, we hope Congress will pass federal HAIL for all ages. Hearing loss doesn’t discriminate, so why does insurance coverage? Write your legislators to let them know that this is important to you. 9) Schedule a hearing exam for you or a loved one. 10) Protect your hearing or lose it. People of all ages can be affected by noise-induced hearing loss. Turn down the volume on your electronic devices. Find more ways to protect your hearing. This article was repurposed with permission from Jeanine and Grace Gleba. Jeanine Gleba serves as a public member on the NJ State Audiology and Speech-Language Pathology Advisory Committee. Grace Gleba is a student in the Schreyer Honors College at Pennsylvania State University, where she is majoring in communications sciences and disorders with a minor in health administration and policy. 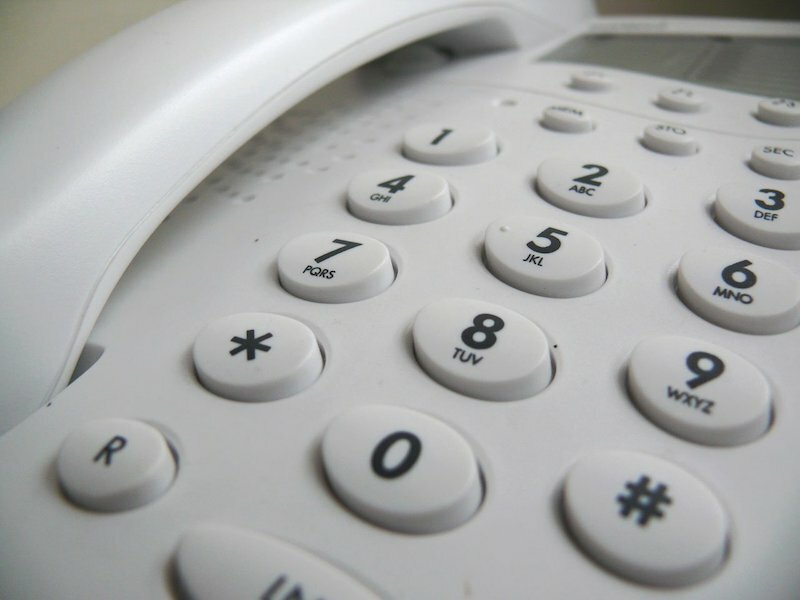 The Federal Communications Commission (FCC) recently announced in the Federal Register that it intends to allow telephone captions (IPCTS) to be 100 percent provided by automated speech-recognition (ASR) software. I wrote about how it's done currently by a human/software "team." The change would save money by making the role of the human captioning assistants optional. But nobody knows what the effect would be on caption quality, as there are no current standards for accuracy or delay in telephone captioning provided under the Americans with Disabilities Act, and regulated by the FCC. "The Commission is putting the cart before the horse by allowing ASR-based IP CTS services without developing standards and metrics for the provision of IP CTS to ensure that consumers receive robust service from all providers, regardless of the underlying technologies used to provide the service. Inaccurate and unreliable IP CTS service stand to substantially harm consumers who rely on them for communications with family, friends, employers, and commercial transactions and lack the means to qualitatively compare services in advance." That document, available online, was filed by the Hearing Loss Association of America, Telecommunications for the Deaf and Hard of Hearing, Inc., National Association of the Deaf, and Gallaudet University’s Rehabilitation Engineering Research Center on Technology for the Deaf and Hard of Hearing. The public comment period for this proposed change is open until Sept. 17, 2018. You can submit a formal comment at the top of the page in the Federal Register that announces the proposal. 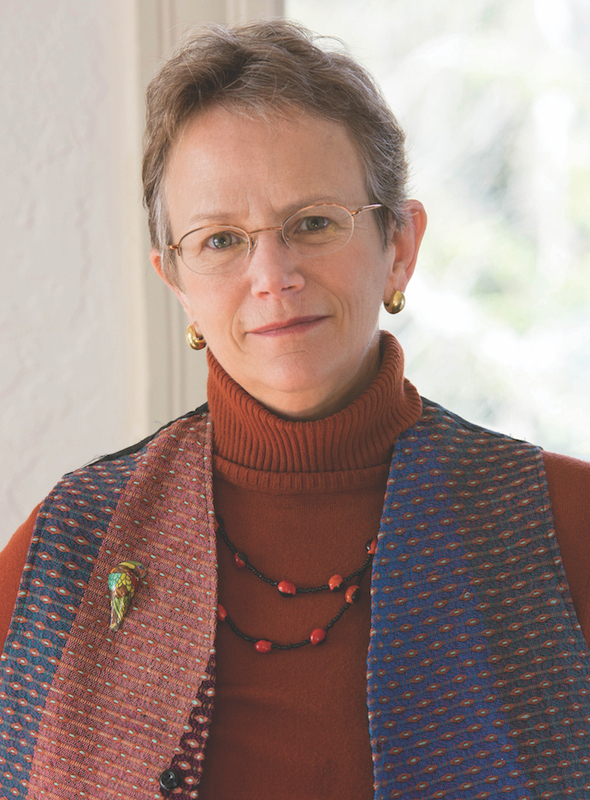 Kathi Mestayer is a Hearing Health magazine staff writer. 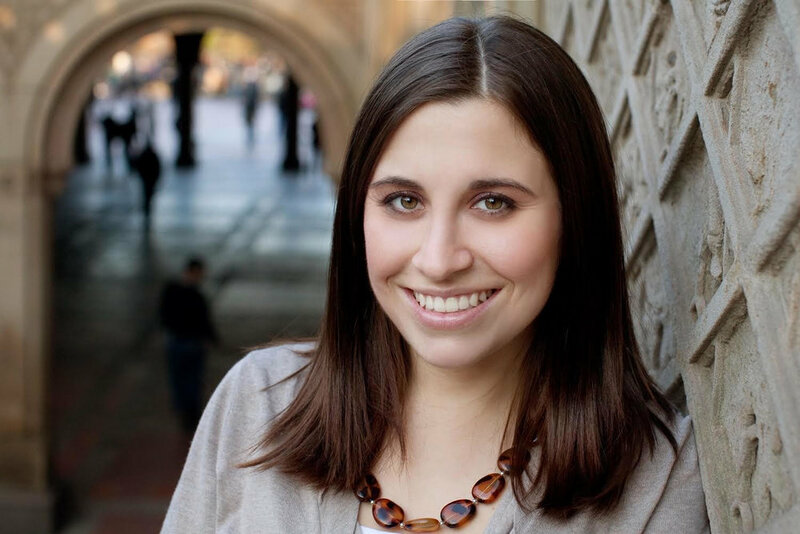 Born with a profound sensorineural hearing loss, Jessica Hoffman, Au.D., CCC-A, never believed she could become an audiologist. In fact, she didn’t consider the profession until her final year as a biopsychology undergraduate at Tufts University. By then, Dr. Hoffman was the recipient of successful hearing loss intervention and treatment for two decades. Diagnosed at 13 months, she was fitted with hearing aids by age two, practiced speech and hearing at the New York League for the Hard of Hearing (today the Center for Hearing and Communication) until five, and learned American Sign Language (ASL) at 10. She pursued a mainstream education since preschool with daily visits from a teacher of the deaf. Dr. Hoffman received cochlear implants at ages 14 and 24, respectively and, in college and graduate school, enjoyed a variety of classroom accommodations including ASL interpreters, CART, C-Print, notetakers, and FM systems. After Tufts, Dr. Hoffman worked as a lab technician at Massachusetts Eye and Ear as her interests in studying hearing began to grow. But she doubted her abilities to perform key tasks in audiology, like speech perception tests and listening checks with patients. After speaking with others in the field with hearing loss, she became less apprehensive. Engaging with mentors like Samuel Atcherson, Ph.D., and Suzanne Yoder, Au.D., who have greatly advanced opportunities for individuals with hearing loss in audiology, further cemented Dr. Hoffman’s self-confidence. In 2010, she completed her Doctor of Audiology from Northwestern University. Today, Dr. Hoffman is happy to work with both children and adults at the ENT Faculty Practice/Westchester Cochlear Implant Program in Hawthorne, NY. She takes pride in helping her patients realize that they are not alone with hearing loss and that technology, like her own cochlear implants, can provide immense benefits to communication. Dr. Hoffman is motivated to help her patients understand that hearing loss does not define who one is and can be viewed as a gain rather than as a limitation. Dr. Hoffman’s career is not exempt from challenges. Fortunate to receive accommodations as a child and young adult, she is disappointed by the tools that are missing in a field that serves those with hearing loss. Though she credits her own workplace as being very understanding, Dr. Hoffman points out the difficulties she experiences during team meetings and conversations with patients who speak English as a second language. She is grateful to have considerate colleagues who will repeat themselves as needed or offer to facilitate verbal communication with non-native English-speaking patients. At audiology conferences, however, necessities like CART, FM systems, and/or interpreters are often lacking for professionals with hearing loss. Dr. Hoffman and others with hearing loss in the audiology field have petitioned to encourage accessibility at such events. She has had to take on the responsibility of finding CART vendors for conference organizers to ensure her own optimal listening experience. She reports being brushed off by meeting leaders and a sense of doubt in her abilities and those of her colleagues with hearing loss. Dr. Hoffman also wishes to see greater accessibility in audiology offices nationwide, including recorded speech perception materials, captioning for videos or TV shows in the waiting room, and email exchanges with patients, rather than phone calls. She’d like all audiology staff to be well-versed in communicating with people with hearing loss and to have a strong understanding of the Americans with Disabilities Act (ADA) as it pertains to hearing loss. Dr. Hoffman also thinks facilities would benefit from hiring ASL interpreters or Cued Speech transliterators as needed. Her ideas would help professionals like her and patients alike. Receive updates on life-changing hearing research and resources by subscribing to HHF's free quarterly magazine and e-newsletter. Films, plays, and television series have long served as platforms to create awareness of important topics that have otherwise been kept out of the spotlight. Hearing loss is one example of such a topic. As an organization that seeks to inform the public about the prevalence, prevention, and treatment of hearing loss, Hearing Health Foundation (HHF) applauds the growing prioritization of this issue in entertainment. We are pleased to know that the number of films featuring characters with hearing loss—played by actors with hearing loss—has risen with the years, generating greater public awareness of the third most common health condition in the United States. Complementing this trend of an increased presence of hearing loss on screen is the introduction of recent legislation to make entertainment more accessible to viewers with hearing loss. Children of a Lesser God, a play written in 1979, made its Broadway debut last April. The piece focuses on the professional and romantic relationship between a deaf janitor and a typical hearing teacher and shows the contrasting worlds off sound and silence. To Sarah, the janitor, deafness is an identity, not a defect. This Close is a TV series by two deaf writers and actors that narrates the true story of their lives. The show provides a close look of the everyday day life of two best friends, emphasizing their challenges and frustrations while highlighting the positive and beautiful things that their hearing loss brings to their existence. HHF commends these and the artists behind similar works for the awareness their creations have generated. Likewise, the organization is proud to witness the introduction of new laws and procedures to make entertainment more accessible to the hearing loss community. The American with Disabilities Act (ADA) first broke barriers by advocating for the requirement that all video program distributors close caption their TV shows. But it wasn’t until recently, with the help of technology, that these rules have expanded. On November 2016, the Final Rule on the ADA Title III was signed, requiring all American movie theaters to provide accessibility for captions. Large cinemas now offer assistive listening, closed captions, and descriptive audio. Broadway, too, has made tremendous improvements. In 2016, the Theater Development Fund (TDF) and The Broadway League, launched www.theatreaccess.nyc, a website with information about tickets prices, dates and accommodations for theatergoers with disabilities. 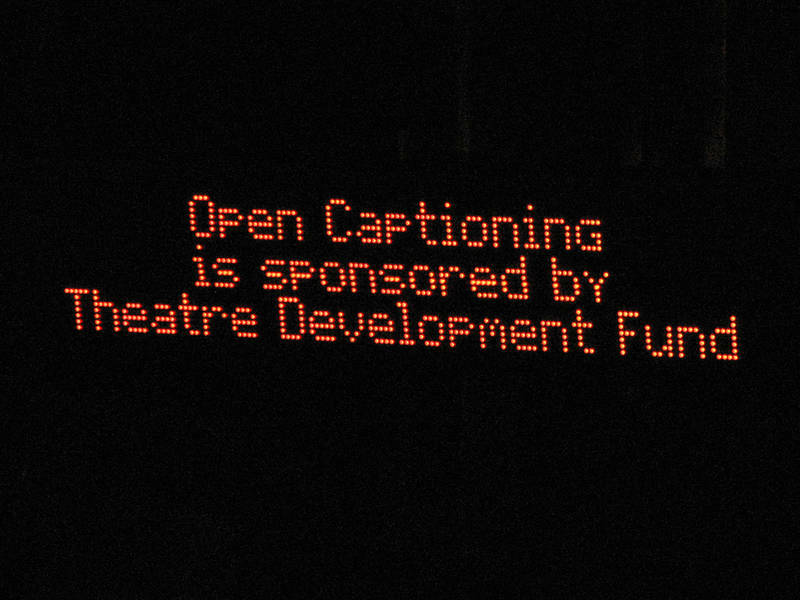 In addition, TDF now provides accessibility programs with open captioning and/or ASL at select Broadway performances. Entertainment has made progress in becoming more inclusive for people with hearing loss since the implementation of these programs, but additional work is needed. Though mandating captioning at movie theaters represents great progress, other entertainment settings, including sports arenas and concert halls, must follow suit. To optimize the listening experience for audience members with hearing loss, more must adopt the use of hearing loops, which transmit sound from a PA system to hearing aids and cochlear implants. In December 2017, the state of Minnesota passed a bill requiring hearing loops in public meeting spaces, taking after similar New York City legislation from earlier in 2017. HHF looks forward to a day where no one must live with hearing loss. As long as hearing remains out of reach for tens of million Americans, fair accommodations are the most ethical choice.